"Compelling . . . poignant . . . like James Van Praagh (Talking to Heaven) tempered with the down-to-earth appeal of Caroline Myss." —Publishers Weekly His television appearances have made millions of people believe in the afterlife—and in his ability to reach it. 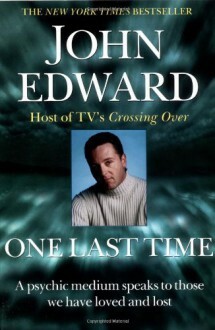 Now John Edward's legion of fans can read his remarkable true story and compelling accounts of his most important readings, how they helped heal the scars of grief and gave way to more fulfilling lives for the living—lives where loved ones never cease to love you, and never really die. . . . In an all-new chapter, written especially for this paperback edition, he also empowers readers to tune in to their own psychic abilities—and read and understand signs of spiritual contact they may be experiencing every day without even knowing it.